PS4 pro is one of the advanced and upgraded gaming consoles. It is capable of displaying a 4k resolution and that’s the aspect gamers love to have as they always appreciate the more detailed view. And to play your favorite games with the highest resolution, you need the best gaming monitor for PS4 pro that offers all the features you will need for the awesome gaming experience. The best monitor for PS4 pro is reckoned as one of the valuable assets, after all, you bought PS4 pro or willing to buy it for 4k display to have a never-experienced-before experience. There are many gaming monitors on the market and every brand claims that they sell the best gaming monitor for Ps4 pro, but only a few monitors are really worth buying. What size of gaming monitor should I Pick? Why choose a monitor for gaming over a TV? 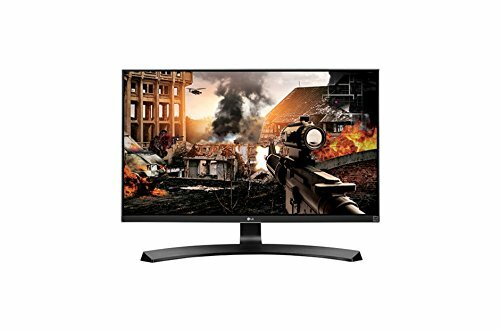 The LG 27UD69-W 4K UHD IPS Monitor is just like other LG gaming monitor that is known for its performance and that is what you need when you play games. To have the detailed view, this LG gaming monitor is capable of displaying a 4k resolution that will give you an outstanding gaming experience. You will get a better and clearer view even in dark scenes because of the quick monitor optimization setting. It activates the black stabilizer that helps you view the darker scene more clearly. It delivers vibrant and radiant colors all thanks to the 99% of sRGB color gamut coverage. The LG 27UD69-W has a 27-inch screen and high pixel density of 163 pixels per inch. Moreover, this LG gaming monitor has an ability to deliver the brightest of whites and darkest of darks because of the contrast ratio of 1300:1, which results in a lifelike image quality. It is comfortable for the eyes because of the flicker-free technology. Furthermore, it offers, freesync, on-screen control, and adjustable stand. The LG27UK650-W 4k UHD IPS Monitor is one the best gaming monitors for PS4 pro. It received Amazon’s choice tag as it is one of the highly-rated monitors and people are choosing it because of the great resolution and outstanding gaming features. It is 2.2 HDCP compatible along with offering the versatility of two HDMI 2.0 ports. HDCP 2.2 is the latest copy protection that is capable of displaying videos from the 4k streaming services, ultra HD Blu-ray disc player, and game consoles. Moreover, the LG27UK650-W 4k UHD IPS Monitor is compatible with the HDR10 high dynamic range. It supports the level of brightness and color that can increase the capability of any monitor. It offers 99% coverage of the sRGB spectrum, which makes it an ideal option for graphic designers, professional photographers, or anyone who needs accurate colors. There is a color mode menu that allows you to convert Adobe RGB to sRGB. 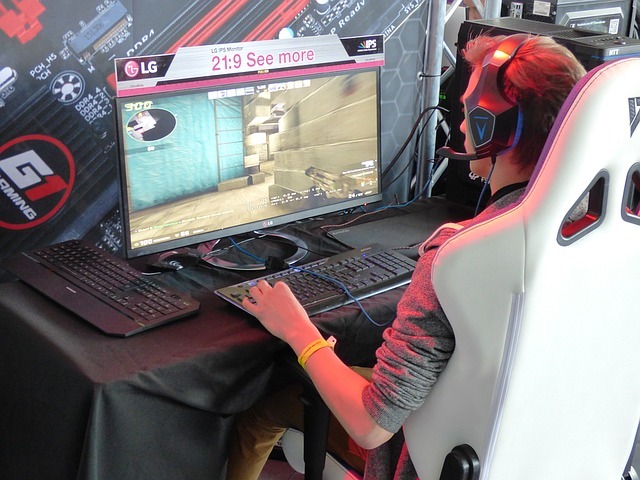 This LG gaming monitor offers an on-screen control option, which is perfect for gamers as they do not need to get up and press the button anymore as they have the option to set it with a few mouse clicks. You can easily adjust volume, brightness, screen split, and other monitor settings with your mouse. Furthermore, the LG27UK650-W 4k gaming monitor proffers freesync to provide a seamless experience while eliminating the screen stuttering and tearing. This 4K HDR Gaming Monitor for PS4 Pro is the first monitor in our list that has some wow factors that make it worth mentioning. It is a product of HFSecurity with a 17.3-inch display. Being a new product on Amazon, it does not have many reviews like other gaming monitors. But before reaching any conclusion you need to check what it has in store. HFSecurity’s 4K HDR Gaming Monitor for PS4 Pro has Adobe 100% RGB LCD screen and a high light contrast of 1000:1. Most of the gaming monitors are only designed for 4k resolution, but this 17.3 inch 4K HDR Gaming Monitor also supports Xbox, PS4, laptops, computer, Samsung S9 S8, and Huawei mate 10 P2. It provides a full 4k driver solution. The 4K HDR Gaming Monitor is perfect for displaying high-quality resolution. You can have a more detailed view. Playing your PS4 pro games on the 100% Adobe RGB 4k HDR gaming monitor will give you an exceptional image quality and every view will be lifelike as if you are the character in the game yourself. Moreover, this 4K HDR Gaming Monitor features response acceleration, low blue light, dynamic contrast, and multiple scene mode selections. It offers multi-interface, 2.0 HDMI output, and 5 volts USB output. It comes with a foldable stand that you can use according to your convenience. A leather case is also there in the box for this 4k HDR Gaming Monitor. The weight of this HDR monitor is 1.4 kg with a dimension of 420 x 255 x 13mm. The 4K HDR Portable Gaming Monitor is another gaming monitor by HFsecurity with good features. This gaming monitor is also new on Amazon, but still, it’s worth buying. It is a 15.6-inch gaming monitor capable of displaying a 4k resolution that you will need to get a superb gaming experience. 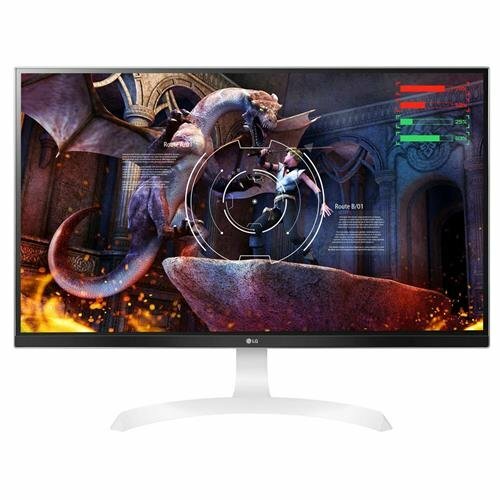 It is a fact that monitor plays an indispensable role when it comes to displaying a higher resolution and all the gamers want a gaming monitor that offer lots of gaming features as well as the resolution they need. The best part of this 4k HDR gaming monitor is that it is portable and you can carry it with you as well if you want. Not many gaming monitors offer this portability option, so consider it if portability is something you are looking for. The maximum brightness and contrast of this gaming monitor is 300 cd/m2 and 900:1, respectively. It is a light gaming monitor which is super thin. It comes with a magnetic leather case, which makes it foldable. 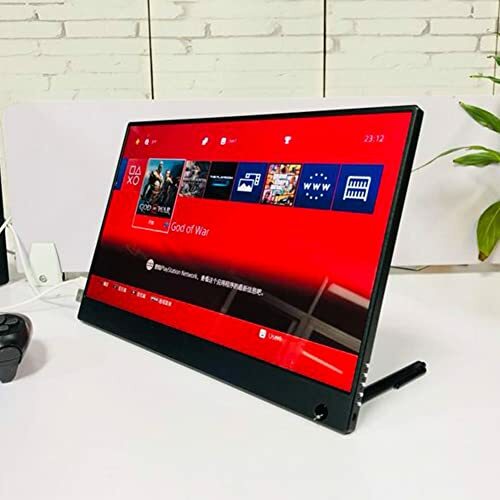 People, who want to enjoy the PS4 pro games on a 4k gaming monitor but do not have much space for a larger monitor, can pick this portable monitor. All the necessary things included in the package such as DC cable for power supply, HDMI to mini HDMI cable for transferring data, USB cable, and magnetic leather case. The dimension of the 15.6 Inch 4K HDR Portable Gaming Monitor is 354 x 233 x 4.9-9.9mm. 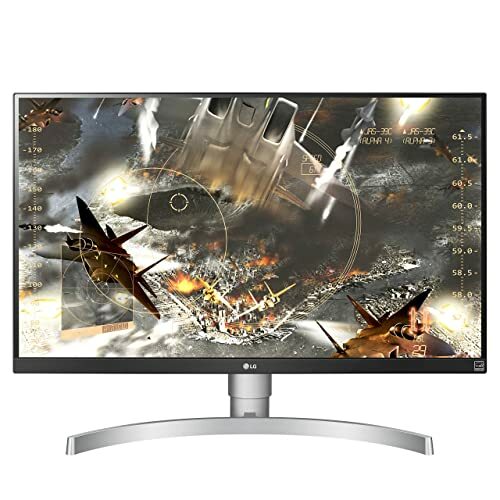 The 27UD68-P 4K UHD IPS Monitor is one of the popular LG products that this has been doing really well and has a lot in store for the gamers. Due to the superior picture quality and outstanding performance, it has earned a tag of the Amazons choice product. No doubt LG is a well-known and reputed brand that has been selling high-quality products and gadgets for years. Almost all the products and gadgets along with this monitor made up of high-quality that makes the user satisfied. The 27UD68-P 4K UHD gaming monitor has a 27-inch screen with the resolution of 4k, which is equivalent to 3840 x 2160. This 4k resolution provides a superb and immersive gaming experience. All the gamers who want to have a detailed view even in dark scenes will be glad to hear that the LG 27UD68-P features quick monitor optimization setting that allows you to activate black stabilizer. With the dynamic action sync feature, you will get a smooth result. The PIP technology provides 14 split screen option. The 27UD68-P can be called a multitasking gaming monitor because of the latest version of LG screen split. With this feature, you can view multiple windows and you also have the liberty to resize the windows. With the on-screen control option, you do not need to press the monitor button to adjust screen split, brightness, volume, dual controller, and picture mode instead you can do it with the mouse. So, adjusting the setting of the 27UD68-P 4K UHD IPS Monitor becomes really simple. When it’s about buying a gaming monitor you need to note a few things such as the viewing distance and resolution. It’s important to know how far you are going to place your monitor. Most gamers prefer 24-inch gaming monitor as it is the ideal size. You can have any gaming monitor between 24 and 27 inches. No doubt, large screens provide a superb gaming experience with high resolution, but it is a bit uncomfortable for many people and some even end up having eye strain, fatigue, and irritation. 3 feet is the ideal distance from the couch to the monitor. To know the exact size of the monitor you should select, you need to know the distance between you and your monitor. If you want to have a 4k monitor, then the screen size should be between 27 to 32 inches. A 27-inch monitor is good enough for displaying 1440p resolution. For 1080 pixels, you need the gaming monitor bigger than 24 inches. 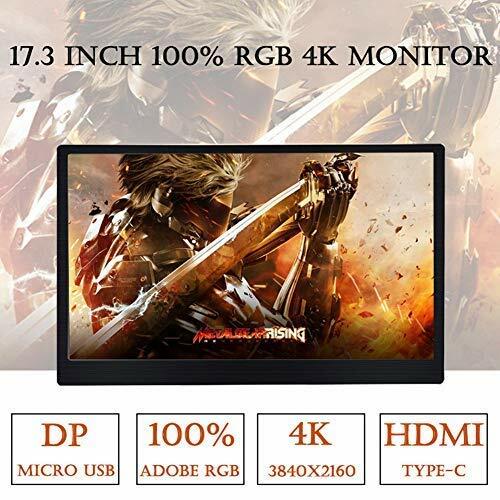 Most of the gamers have this question in their mind that why do they need to buy gaming monitors when they can connect the gaming console to their TV screens. The answer to this question is simple. The gaming monitors come with a lot of gaming features that will add up to your gaming experience while the TV does not provide such features. The biggest difference between TV and gaming monitor is the picture quality. Gaming monitors are designed with the specific gaming technology that provides a better view, seamless vision, and color saturation. The next big difference is the response rate, which matters a lot for the gamers. Whenever you press a button it takes a minor delay. The quick refresh rate of the gaming monitors is also a reason to stick to the monitor instead of TV.